Ok, so I've been a Rain X car wash fan for quite some time. Gets your neglected car clean, leaves a nice shine and beads water for about a month. 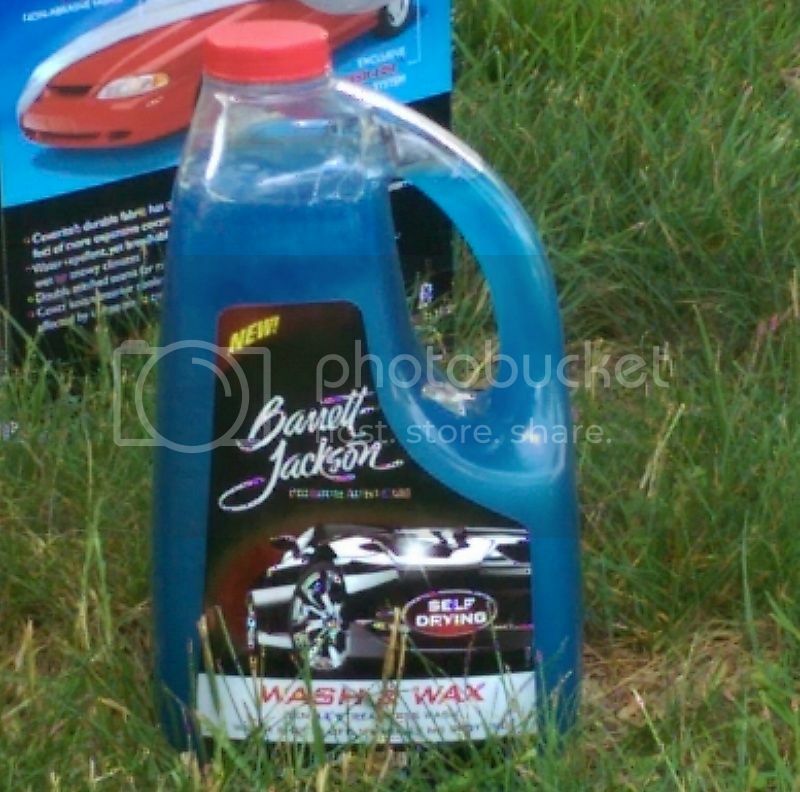 I saw the Barrett Jackson stuff in Pep Boys. $7.49 for a 64oz bottle of self-dry wash n wax? Vehicle washed was an unwaxed, somewhat neglected finish 00 Mercury Villager. Having never used self dry wash n wax before I got out the chamois. Didn't hardly use 'em. A little bit in the bucket and mega suds began. Backed off on water pressure to have enough water to do the car. About 16 oz will do, then dump and do again, right? Started washing with my mit and sniff, sniff, sniff, the stuff smells great! Wash away...time to rinse. Wow, was there some suds on the surface. Rinse, rinse, rinse. I mean this stuff suds better than dish washing soap. Get about half through with the wash, I'm out of water...but suds are still flowing out of the bucket when I stick the mit in there. Add more water, resume, and I noticed where I had washed WAS DRY!!! Finish washing and rinsing and suds STILL FLOWING OUT OF THE BUCKET when I stick the mit in there. It was crazy. That was like a teaspoon of it in a 2 gallon bucket. Vehicle was not as glossy as when washed with the Rain X. In fact it looked a little duller than before. But if you want a quick wash job before applying wax, polish, clay, whatever and don't want a lot of fuss with water left behind...this is for you. 4 outta 5 rock stars. Woulda got a 5 but for the dry look after.